This review is about item#34921205. For glass fiber this is the cheapest and lasts long. When it gets bad, you can reuse it just by slightly grinding the tip! This review is about item#34921214. I attach it to a ruther on hand and use it for plastic model remodeling etc. As expected, the plain material can be abraded well only in a carbide end mill, and on the other hand, it is used while paying attention to excessive shaving. This review is about item#34921187. Until now, I have used a Chinese no-brand cheap end mill, but since burrs are less generated than made in China, I am saving it. This review is about item#34921196. Excellent cost performance. It is used for cutting wood products, brass, free cutting steel. This review is about item#34921223. Very cheap and easy to use. Of course, it can be used for cutting metal materials (7000 series aluminum themselves), and it also gives us a friction with FRP wearing out too hard. I do not have performance on endmills dedicated to each material, but I think that it is very good in terms of cost performance that anything can be eliminated at this price. I am always indebted. It can be used normally. I am satisfied because the price is also cheap. 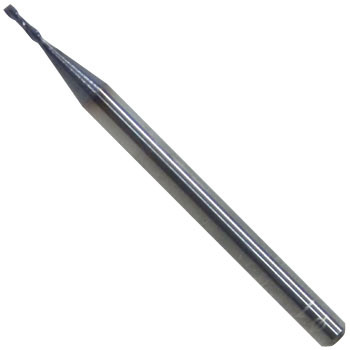 I would like you to add a carbide roofing end mill as a request to the lineup. This review is about item#34921241. If you cut the wood with dry, the cutting edge will be destroyed with heat (it seems), so I am very saved because I do not want to use high. The price is cheap, and at the time of use there is no trouble like this and the satisfaction level is high. However, the sharpness falls quickly, the load may become large during cutting, and the machine may stop. Perhaps it is best to use it temporarily when other end mills are suddenly unusable. Although milling is done by CNC, φ 1.0 mm breaks frequently. Even brass with no hardness breaks from the base of the blade at the place where there is nothing, even though the amount of cutting is small. The blade is always broken at the same place. Please shorten the blade length a bit more and make it not break. I was cutting the bake version of t = 3 mm and broke it immediately. I will not buy this anymore. I am using it on a milling machine, but the first sharpness is good. That sharpness falls rapidly. And it breaks. The probability of breaking is high compared to other companies. I recommend you to exchange early. Because there is no height of the milling cutter, I'd appreciate it's a bit shorter overall length. This review is about item#34921266. Initial sharpness is good. However, the sharpness falls rapidly with time. It is good for applications that are going to be replaced more and more with disposable one. There are many things that break compared to other companies. As usual ♪ super cheap. Sharpness is also ordinary and this cheapness is surprised. I do not have any problem in use, but I hope from blade diameter φ 0.1 if possible. Monotaro's end mill is cheap and the quality is so good, so I bought quite a repeat, but what I recently bought suddenly breaks from the shank, a strange phenomenon occurs. The cutting edge of the broken end mill was broken inside the collet although it was almost unused. Initially we suspected cutting conditions, but if we broke up to the fourth one, we could not but judge that there was a problem with the quality of the end mill and stopped using it at the site. It seems that we are now lowering the price, but because I feel the intention to dispose of it, I am afraid to buy it in reverse. Wait for purchase until returning to the original price. As I purchased it and used it surprisingly long life, I ordered 5 repeats, but 5 from Bali all got out of use for the first time and it did not become usable. Sorry to the fact that it was cheap and easy to use. Although it is still nothing other than using other cemented carbide. I am well used in my technical scope. I think that it will be still better if you look at more material, rotation, feeds and more. It is good to say that it is cheap.